MISTRO is Australia’s leading range of farm management software programs and consists of eight individual programs. The software was developed by Hico Australia, and has now spread to cover all of Australia, as well as New Zealand and Brazil. 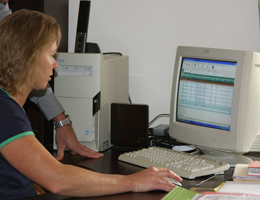 MISTRO software has been designed specifically for dairy farmers and includes a number of significant features that set it apart from any other herd management software on the market, including automated program updating, automated sending and receiving of data, over 100 audio visual program tutorials, and off site data backup ensuring the safety of your valuable data at all times. Please browse the options in the menu above, including links to download our software, and view all of the program manuals. If you have any queries on any of the MISTRO range of products, please click on the Support link to view contact details for the friendly MISTRO staff.